E. Darlene Music, born January 21, 1936, in Tacoma, Washington to Eric and Anna Lagerquist, The family moved to Randle, WA when Darlene was the age of 2. 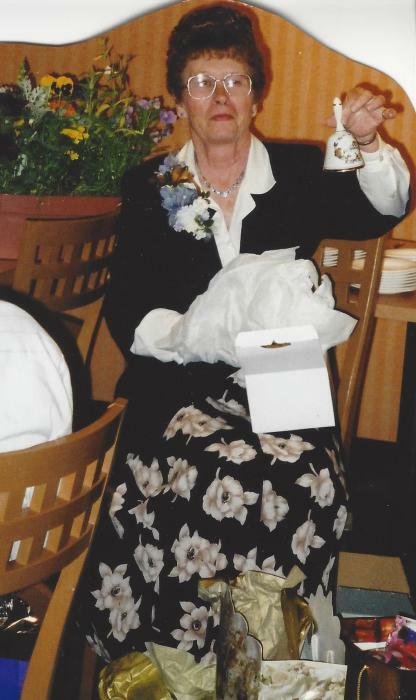 Darlene passed away, February 1, 2019, in Centralia, with her family by her side. Darlene is survived by her husband of 66 years, Howard Music. Darlene was preceded in death by her parents, brothers, Don and Kenny Lagerquist; sisters, Anita McMahan, Audrey Meade, and Joyce Shipley; she is survived by sister, Donna Hood, of Randle; and 4 sons, Dennis (Frances), Gerry (Debbie), Rod (Merry), and Tim (Joy) Music; Darlene had numerous grandchildren, great grandchildren and nieces and nephews.